Best 5 Closed Captioning Work from Home Jobs To Apply for Today! 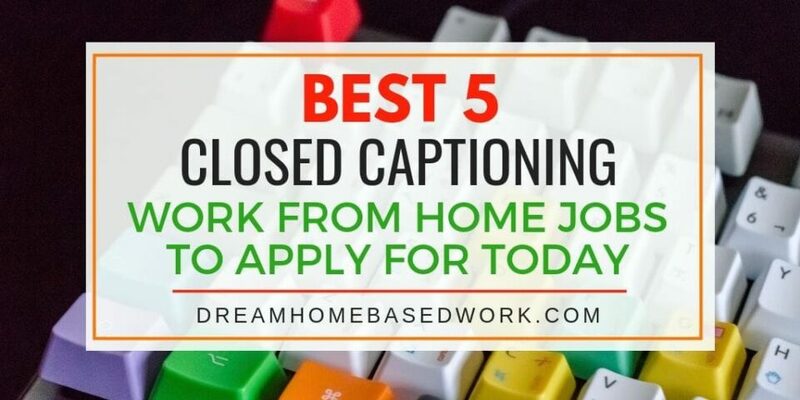 Home » Latest from the Blog » Captioning Jobs » Best 5 Closed Captioning Work from Home Jobs To Apply for Today! As a Kid, whenever we watched a TV Show or a Movie, I always wondered how it was possible to display the exact words spoken by the person on TV at a very fast speed. As time passed, I began to carry out my research on this subject and it was in the course of my search that I discovered that what I had experienced was in fact referred to as Closed Captioning. Closed Captioning basically refers to the creation of captions for Audio and video so that the hearing impaired humans can understand and follow the show without having to hear what is really been said by the speaker. Many TV Producers rely on Closed Captioning to be able to pass their messages across effectively and also reach a wider audience. If you believe you have what it takes to succeed as a Closed Captioner, then let me quickly inform you that there are companies who are willing to hire and pay you handsomely in order to provide Closed Captioning service. While this job sounds like a very easy job to do, it is harder than you can imagine and so you may not be able to do the job effectively if you have no prior experience. 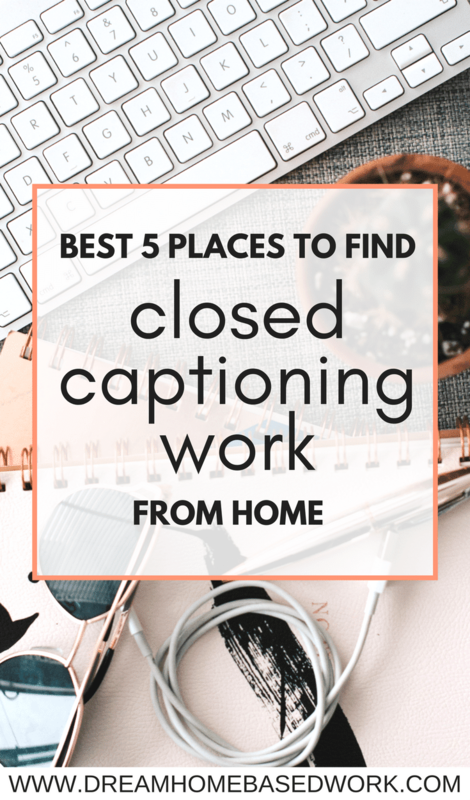 In this post, I will be showing you a list of best 5 places to find closed captioning work from home jobs. However, before I unveil this to you, let me quickly show you the types of closed captioning service you can offer from home. Offline Captioning involves providing captions to pre-recorded television shows or movies. This type of caption is provided for shows that are not aired live. You must have an understanding of time codes in order to perform this job effectively. Your understanding of Time Codes will help you to segment your captions and ensure that they sync correctly with the words been spoken. You do not need years of professional experience to do this but you must know how the system works to ensure the correctness of your caption. Real Time captioning involves providing captions for live videos. This kind of captioning is used for live program broadcast, News, or even a Church sermon. From the way the work is described, you should know that real time captioning needs a great amount of typing speed and skill. It also pays better than offline captioning because the work is more technical in nature. Real time captioners are expected to produce a correct caption within 2 seconds of each word spoken. Another easy typing opportunity is “Transcription”. Check out these 5 beginners online typing jobs. 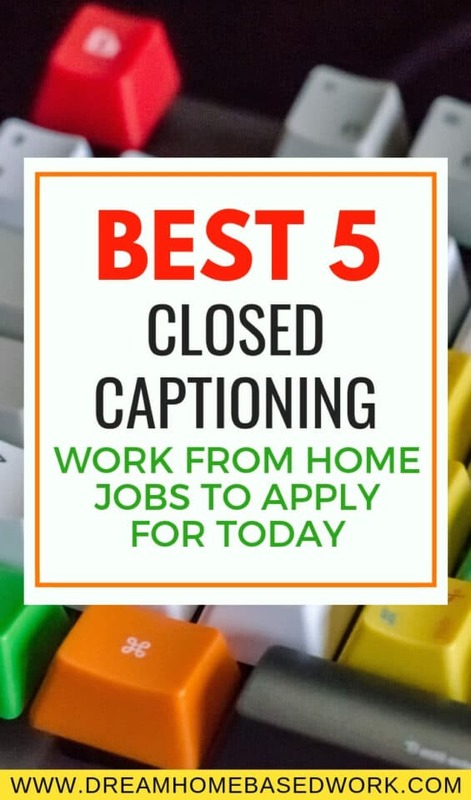 Now that you know the type of Captioning services you can provide, here is a list of 5 best places to find Closed Captioning Work from Home Jobs. Crowdsurf: Crowdsurf is an online marketplace where transcriptionists and captioners can apply for work. The website is more like a freelance marketplace so freelancers who can transcribe and do video captioning can go on the website to view a list of available jobs. Crowdsurf focuses on short term work to enable its freelancers have a flexible schedule. In order to start working on Crowdsurf, all you need to do is visit the website, create your user profile and add all the relevant details. Once your application has been reviewed, the team will give you a response on the status of your application. Vitac: Vitac is widely known as the largest provider of Closed Captioning Service in the United States. The company has carved a niche for itself as a master in captioning with a record of over 260,000 hours of real time capturing every year. Vitac hires mainly in-house captioners since most of their jobs are real time captioning, but they also hire work at home captioners who have proven record of delivering accurate real time captioning with less supervision. One interesting thing you should know about Vitac is that, all captioners are regarded as employees of the company. So, it does not matter if you are employed to work in-house or from your home, you will get the benefits accrued to an employee of the company. Vanan: Vanan is a world leader in the provision of Closed Captioning service. They offer captioning service to some of the biggest names in the United States and so they are always in need of Professional Captioners who have proven themselves and can offer quality captioning within a short period of time. There is always work to be done on Vanan so if you are interested, you can visit their website to apply. Caption Colorado: Caption Colorado also offers job to real time captioners who want to work either full time or part time. The Company has established itself as a renowned Closed Captioning Service provider and so they ensure that all employees of the company have the required skills needed to ensure quality service delivery. To be considered for a job at Caption Colorado, you must have at least 98% accuracy after completing a 30-minute real-time captioning assessment. People who succeed on this test are then invited for further assessments and interviews before been selected for the Real time captioning position. Some of the benefits you will derive from working with Caption Colorado are Flexible schedule, accessible technical support, 401(k), and vacation pay. Impact Media: Impact media is also another company you can look towards if you are in need of a Work at Home Closed Captioning Job. The company prides itself as a professional closed captioning company that is dedicated to maximum customer satisfaction. As an employee at Impact Media, quality and quick delivery must be your watchword. Impact Media hires the best to work on some their numerous projects. You do not need to own a college degree to work with them but you must have the skills and experience to perform effectively on the job. Would you be interested in a closed captioning work from home job? Why or why not? What about offline captioning jobs?